A quick and easy to make, Cape Malay Mince Curry is one of the most commonly eaten curries in South Africa. 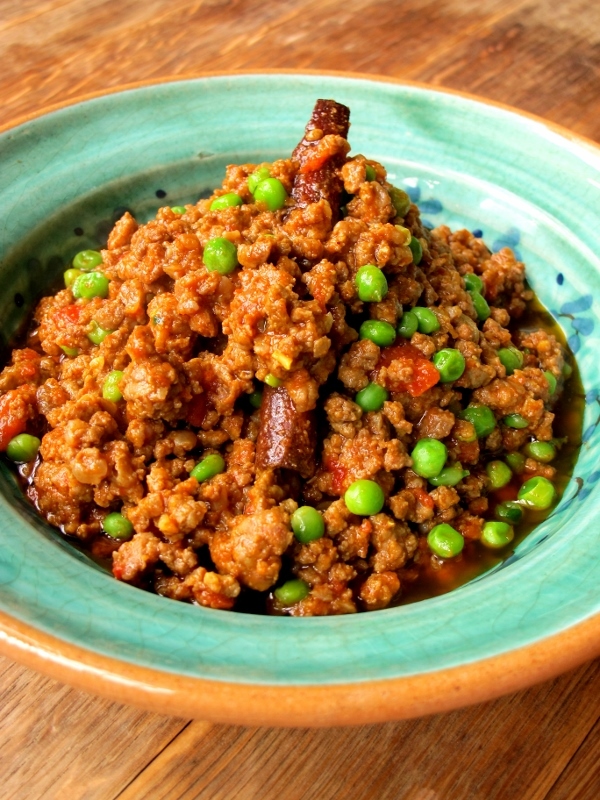 Typically eaten with rice, mince curry is also often used as a filling in rotis and vetkoeks or eaten on toast with eggs for breakfast; making this curry as versatile as it is tasty! Mince curry is also a popular choice when feeding large groups of people as it is relatively cheap to make and a little goes a long way. The addition of peas and boiled eggs is common, although far from essential. Personally, I prefer to make mine with peas as it makes for a more nutritionally-rounded meal. As humble as it may be, mince curry deserves to be called a Cape classic!